Art in Nature – Making Time for Art and Well-being is the second of three pilot workshops co-run by Artist Aileen M Stackhouse and Life Coach Maggie Cochrane. 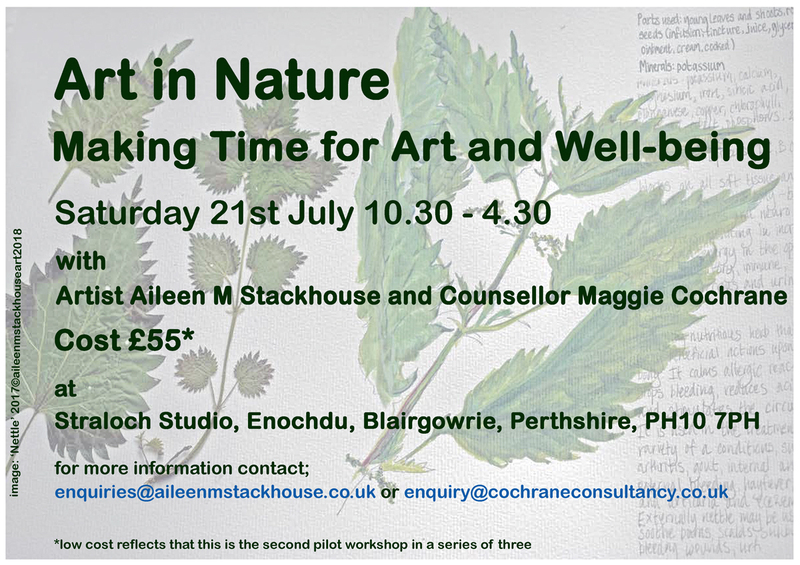 This second workshop will run on Saturday 21 July in the beautiful and inspiring Straloch Studios, Enochdu, Blairgowrie. These workshops are being developed as a way of making time to soak in the relaxed atmosphere of a secluded setting, to draw upon your creative energy which in turn enhances emotional and physical wellbeing. Open to all levels of creative ability & experience, Making Time for Art & Well-being encourages anyone looking to explore their creativity in a relaxed, safe and non-judgemental environment. 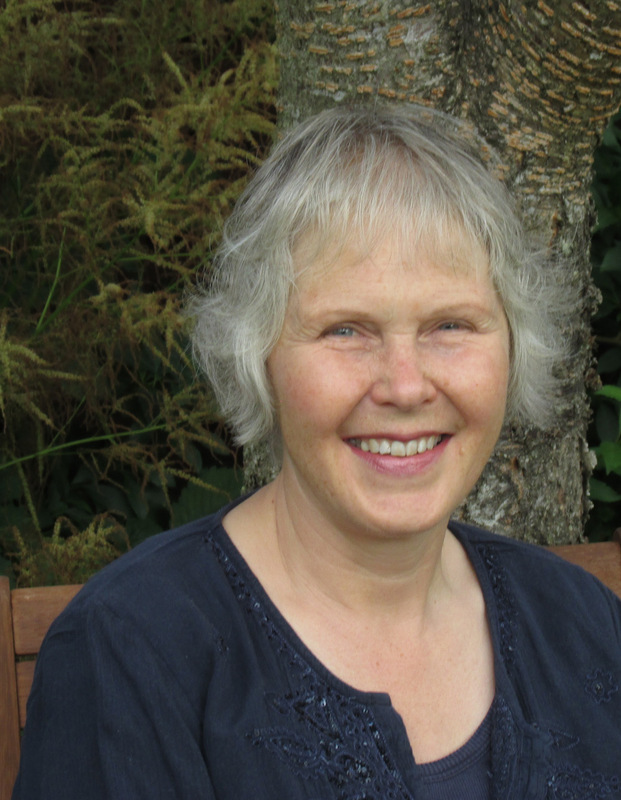 Dr Aileen M Stackhouse is a trained sculptor who uses drawing to explore how she sees the world around us and regularly runs drawing group sessions in Blairgowrie. 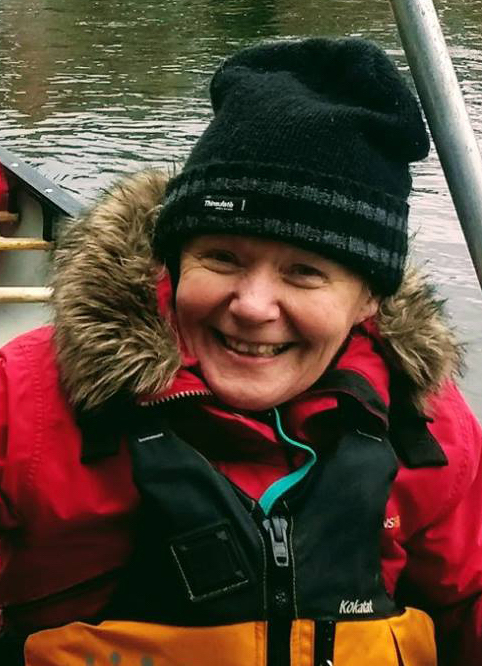 Maggie Cochrane is a qualified counsellor, coach and trainer who has decades of experience with groups and individuals in the private, public and voluntary sectors. The day starts at 10.30am, and on arrival, over tea or coffee, you will chat through what you can expect from the day. There will be a short demonstration of materials and techniques from Maggie (inside) and Aileen (drawing and walking outside) and you’ll have the opportunity to try out these methods until the group break for lunch. The afternoon begins outside and a chance to further explore the grounds where there are plenty of places to sit and draw – choose from the shelter of the walled garden, the Millennium Wood threaded with paths that climb the hillside or sitting by the loch with views over the glen. At any time you can choose to return to the studio for refreshments. At the end of the day at 4pm the group meet back in the studio to exchange ideas, experiences and provide feedback to help Aileen and Maggie gauge what to offer in the next workshop. The cost is £55 per person (the low cost reflects that this is the second of 3 pilot workshops) and can be booked by contacting either Aileen or Maggie direct via email: enquiries@aileenmstackhouse.co.uk or enquiry@cochraneconsultancy.co.uk. Bookings need to be made by Friday 13 July. Times: 10.30pm – 4.30pm with 1 hour for lunch to enjoy the beautiful panoramic views and practice relaxation for those who are interested in developing quick unwind techniques. Art Materials are provided. Tea/coffee and biscuits are included. Bring your own packed lunch. There is a microwave and a fridge in the kitchenette which you can use. Place: The workshop will be held at Straloch Studio, Enochdu, Blairgowrie, Perthshire, PH10 7PH in the beautiful surroundings of the Glen of Strathardle. The purpose-built studio is a generous space with a comfortable seating area, power, heating, a kitchenette and a wheelchair accessible toilet. There is good disabled access via a ramp and double doors. See http://straloch.com/garden-studio-scotland.php for more details. Own transport required. Directions: Straloch Garden Studio in Enochdu is situated on the A924 between Kirkmichael and Pitlochry. From Blairgowrie take the A93 to Bridge of Cally then turn left onto the A924. Distances; Blairgowrie 17 miles and Pitlochry 9 miles. Detailed directions will be available on registering.